We offer the most sizes and the ability to change your ReadyCap size by simply using different sized ReadyCap adapters. 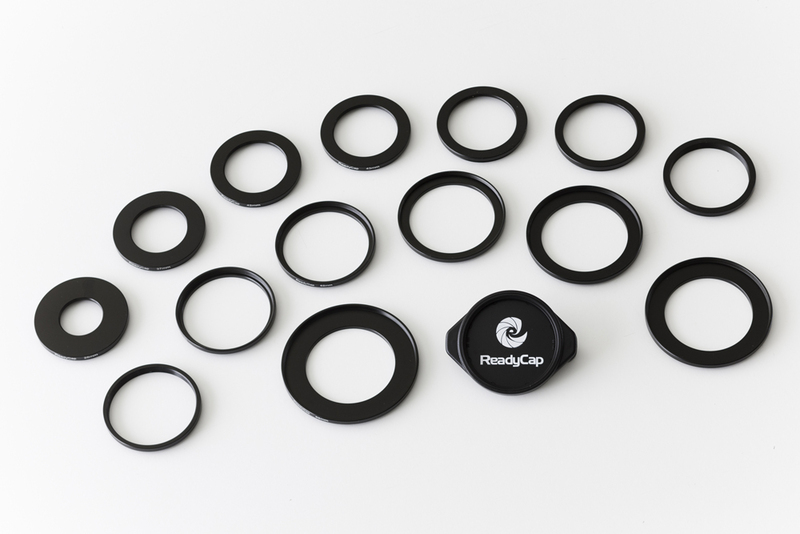 We offer adapters (sold individually) that allow users to hold up to 15 different lens cap or filters sizes. Unlike other competitors that may require you to purchase a different holder for different sizes, we offer adapter rings that save you time and money. Our adapters are as simple to change as a lens filter. Easily secures to straps, belt loops, belts and more. 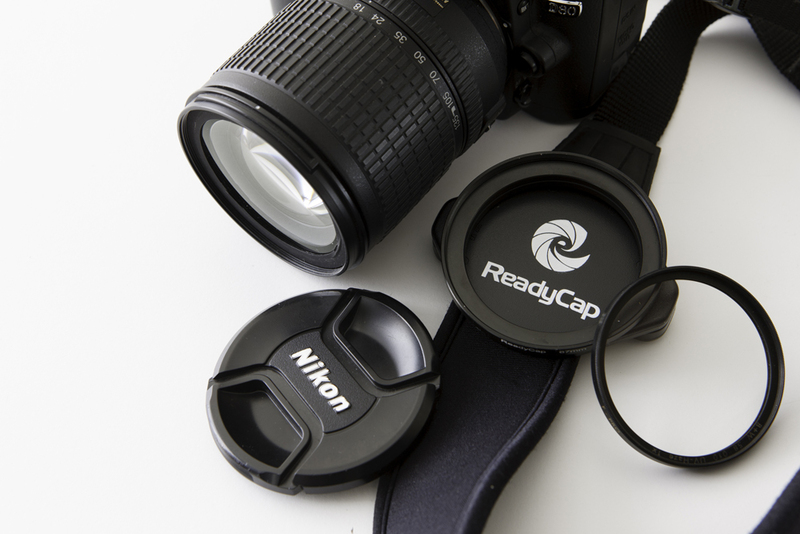 Unlike some of our competitors, ReadyCap does not require you to undo your camera lens strap to put on the holder. Simply find a good spot on your strap, bag or belt and attach the ReadyCap using the backing plate and screws. Best of all, the thumb screws allow users to easily adjust the position of the holder. ReadyCap does not require users to put the holder on the wide part of the camera lens strap or belts. Narrow portions of the strap can also hold the ReadyCap due to the friction grip that is located on the back of the ReadyCap base. 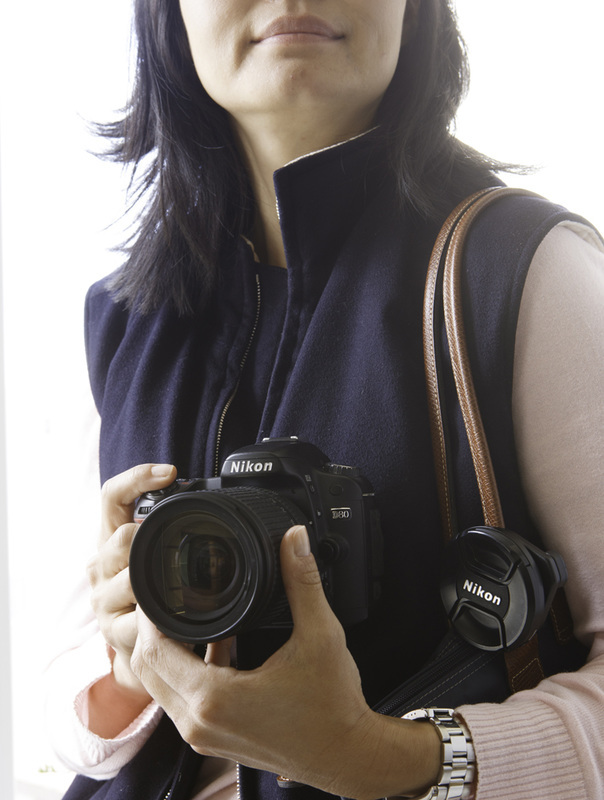 Many of our competitors recommend that you keep the holder on the wide part of the camera lens strap. Camera lens cap leashes have their own issues that most of you know about. The dangling of the cap often upsets the balance of the camera, leashes and caps have been known to accidentally end up in people's pictures, and often those leashes are attached to the lens cap with a type of adhesive that often fails. 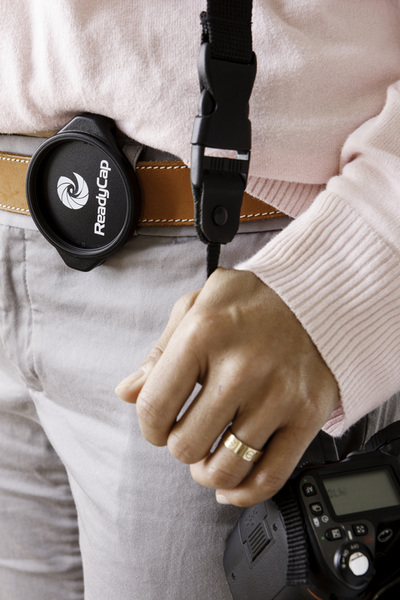 Camera lens cap clips do not provide the same level of security as the ReadyCap. The clips hold the lens cap in a way that can lead to failure if the camera lens cap is jarred with enough force. They also do not keep the inside of the lens cap completely sealed from the environment.